♦ TOWN & SCHOOL ANNUAL MEETING/AUSTRALIAN BALLOT ELECTION: The Town and School Annual Meetings will be held Tuesday, March 5th beginning at 10 a.m. with the School meeting. The Town Meeting immediately follows the School Meeting (approximately 11:30 a.m.). The polls open for Australian ballot voting at 9 a.m. and close at 7 p.m. Both the Town and School Annual Meetings and the Australian ballot voting take place at the Westfield Community Center, 59 North Hill Road. 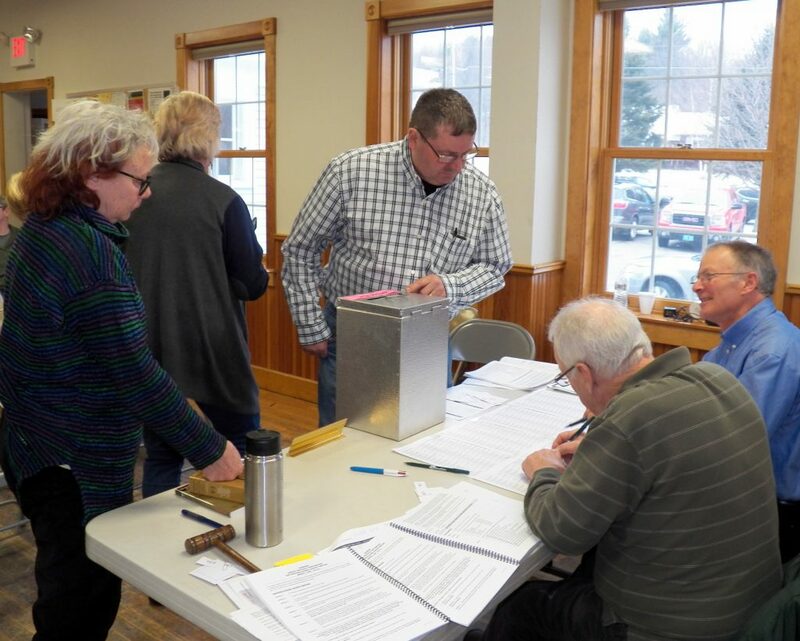 Early/absentee voting takes place at the Westfield Town Clerk’s office, 38 School Street, anytime Monday-Thursday 8 a.m. – 4 p.m. until the close of business (4 p.m.) on Monday, March 4th. To request an early ballot either stop by the Town Clerk’s office or call 802-744-2484. There will be an Informational Meeting on Monday, February 25th to discuss Article 10 on the Town Meeting Warning: Shall the voters agree to open all town roads to All Terrain Vehicles (ATV) travel? The meeting begins at 6 p.m. at the Westfield Community Center, 59 North Hill Road. For more information contact the Town Clerk’s office. Town Meeting Day is the first Tuesday of March each year. Current and archived Town Report booklets are available at the Town Clerk’s office, 38 School Street or call (802) 744-2484 for more information. To view electronic versions of current and past Town Reports click on the links below. Click here for additional information on the Town Meeting Day process from the Vermont Secretary of State’s website. There is also interesting information on the Vermont Institute for Government’s website on the Town Meeting Resources Page.